Cellulite is fat that protrudes out from the lower layers of skin into the dermis, or outer layer of the skin. Cellulite gives a dimpled appearance to the skin, often grotesquely described as a cottage cheese look. Commonly cellulite is seen on the rear end, thighs, and lower legs, though it can appear elsewhere. 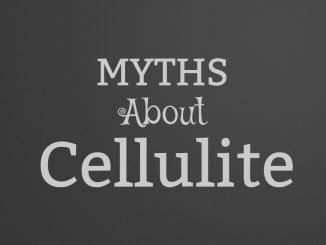 Surprisingly, modern science still knows very little about the cause or causes of cellulite. We do know, however that between 85% and 98% of women (thats almost all women) have at least some cellulite somewhere on their bodies. So, contrary to popular misconception, then, and despite how used to seeing cellulite on obese people we may be, cellulite is not a derivative of being overweight. Science has also observed that cellulite is less common in men, leading many researchers to believe there is hormonal component to its formation. Prevailing theories suggest that the appearance of cellulite could be related to ones diet, more specifically the ingestion of large amount of trans-fats as well as foods like pasta, white bread, and other foods heavy in white flour. Again, this is suspected, but not yet known or proven. As is the case whenever a perceived new problem arises in our culture, manufacturers scamper to produce and release countless products targeting the cellulite-afflicted. 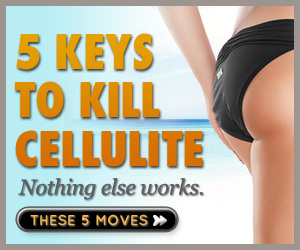 Youll find gels, lotions, pills and more all promising to rid you of that unsightly cellulite. Do they work? So far theres nothing but anecdotal evidence supporting these products at best. The only steps so far that have shown to make any real and lasting reduction in cellulite are the same steps advised for proper and effective weight loss: a healthy lifestyle. 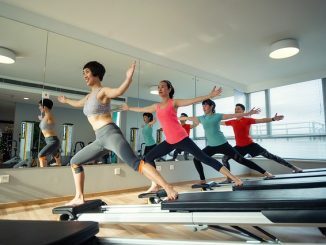 Eating a balanced diet, drinking plenty of water, and getting plenty of both exercise and rest seems to be the only known remedy for unsightly and embarrassing cellulite. Its not reinventing the wheel, and its no quick fix but it works. And when it comes to looking and feeling good, what works is all that matters.